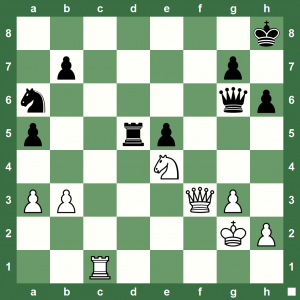 Knight-Flyer Chess Puzzle: How does White Win? 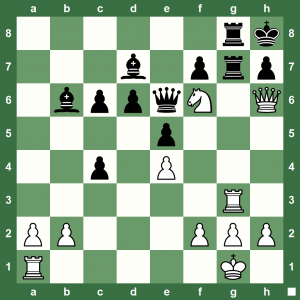 Can White really promote the pawn and win? Can you help White win? 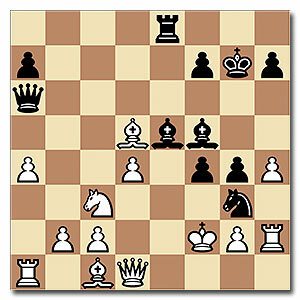 A chess position from the game Gulko vs Angeliki Pantazi, USSR, 1967. 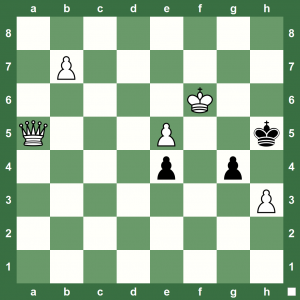 What did White play? 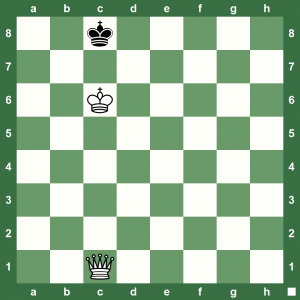 Here’s a tricky chess puzzle. White can easily checkmate in three, but can you push the envelope a bit and help White checkmate in two. 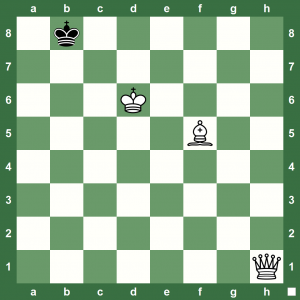 Here’s a tricky chess problem – White to play and checkmate in two. 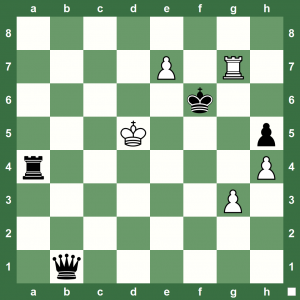 White checkmates in two in this too easy chess puzzle. Have an easy-chess Sunday! 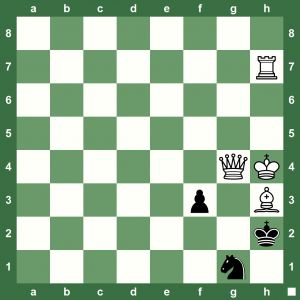 Here’s a difficult chess puzzle by C Morano. 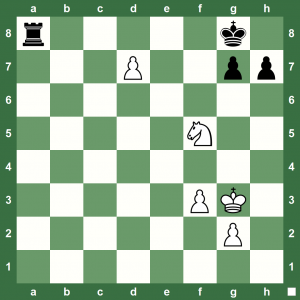 Can you help White checkmate in three moves? Your time starts now…it may take more than 10 minutes! 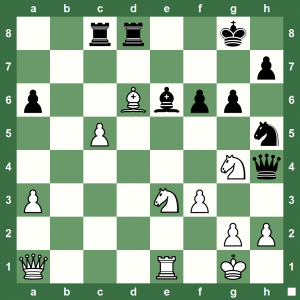 Puzzling Chess Queens: White Checkmates in 7 but Queens Restricted to ‘a’ File! 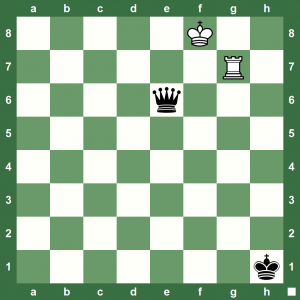 This special chess puzzle is by Florencio Mendes de Moraes. 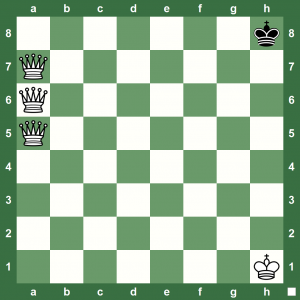 White checkmates in seven moves, but the White Queens cannot go out of the ‘a’ File. It’s very much possible if you get the logic of it. Have fun with chess! Don’t forget to train with Chess King! 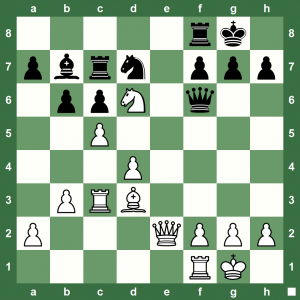 Let’s start the week with an easy chess puzzle – White to play and checkmate in two! 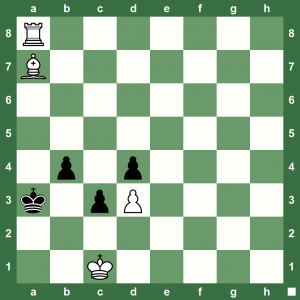 How can White win this chess position – it’s a checkmate in four! Enjoy a chess-full weekend. 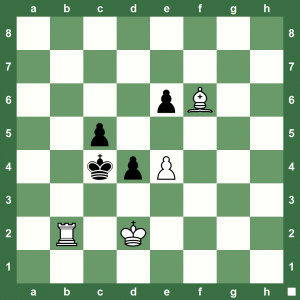 What-Happens Chess Puzzle: White to Play – Win Draw or Lost? 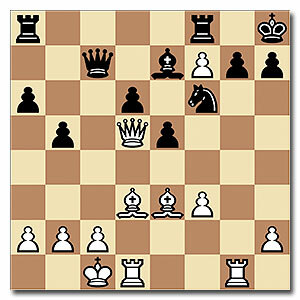 This is a typical Rook vs Queen chess position known as the Ponziani Chess Position. 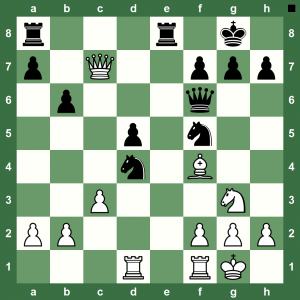 Do you know what will happen with White to play? Will White win? 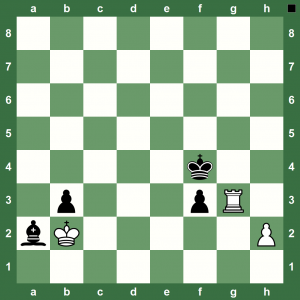 Should White resign… or, White can draw this? 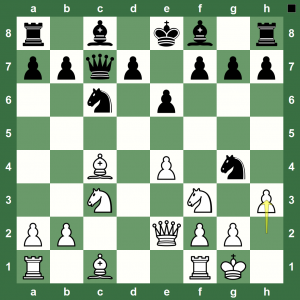 Here’s a cool chess study by A William Shinkman. It was published in the Western Advertiser in 1872. 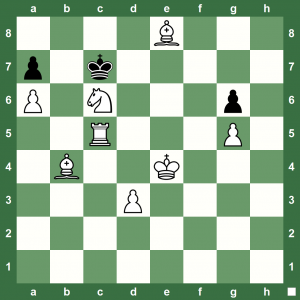 Can you see what trick White used to checkmate in four?